North Dakota passed new legislation on Tuesday restricting access to abortion. Terminations will now be forbidden once a fetal heartbeat is detected, and the state will be the first to ban abortions due to fetal genetic defects such as Down's Syndrome. 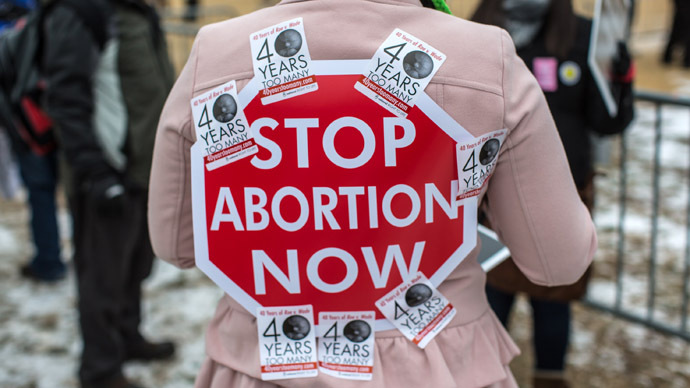 Though the laws were signed by North Dakota Governor Jack Dalrymple, the state's legislature will likely face a series of legal challenges to the changes, which advocates of the laws argue are not in violation of the US Supreme Court’s landmark 1973 Roe v. Wade decision. That ruling legalizes the termination of a pregnancy in the US until a fetus is considered ‘viable’ or, rather, until such a point in development when the fetus is considered ‘life’ in the legal sense. Several US states including North Dakota are currently considering bills that would define ‘life’, or ‘viability,’ at conception, essentially banning abortion. Moreover, laws such as North Dakota’s, which require the detection of a fetal heartbeat, are often coupled with more invasive forms of prenatal imaging, which pro-choice advocates consider a practice aimed at intimidating women who are considering terminating a pregnancy. 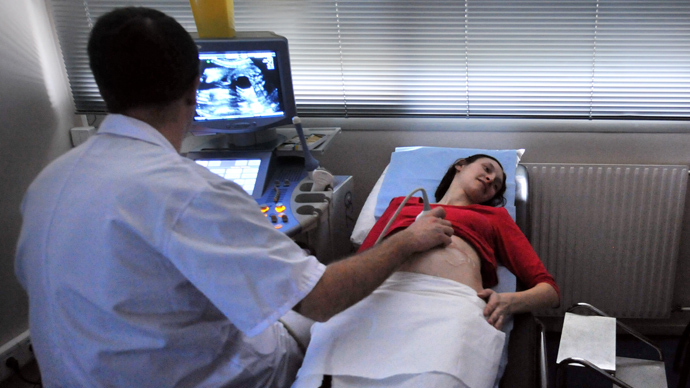 The state of Virginia, for example, was on track to enact a requirement of the invasive ultrasound procedure until Governor Robert McDonnell withdraw his support. Not surprisingly, Governor Dalrymple acknowledged that the legislation will be a magnet for litigation from pro-choice groups, as a consequence he instructed the state legislature to appropriate money for a legal fund. The governor will also consider an additional bill for the state, with a view to banning abortion procedures after 20 weeks of pregnancy. The latter is based on the disputed claim that an unborn fetus can feel pain at that stage of development. The state of North Dakota currently only has one women's health clinic that performs abortions. 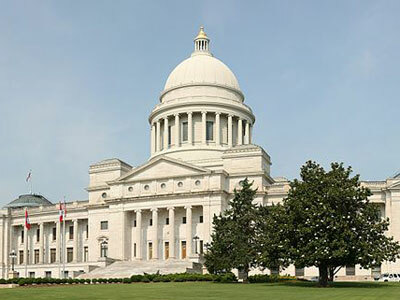 The new legislation will require doctors who terminate pregnancies to have hospital admitting privileges, meaning the doctor will have to be on a hospital’s medical staff. Governor Dalrymple acknowledged that this particular detail was also likely to be fought in court. 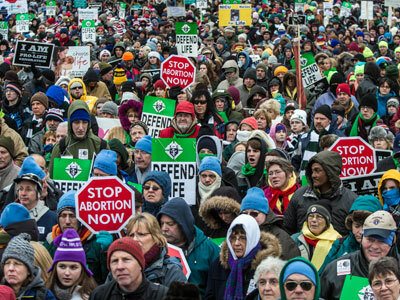 North Dakota is the latest state to join a spate of others considering limits on abortion. 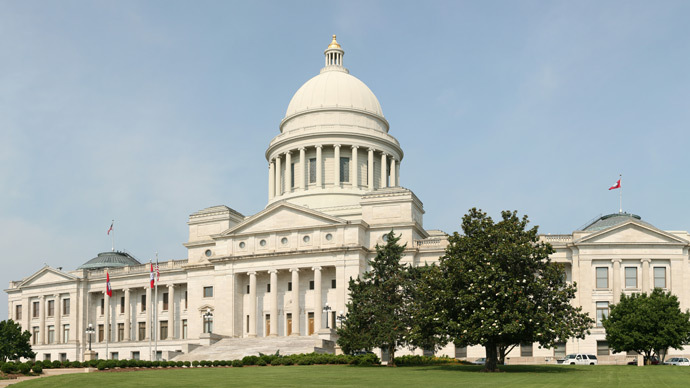 Arkansas, for one, recently passed a 12-week ban once a fetal heartbeat can be detected using the standard abdominal ultrasound. 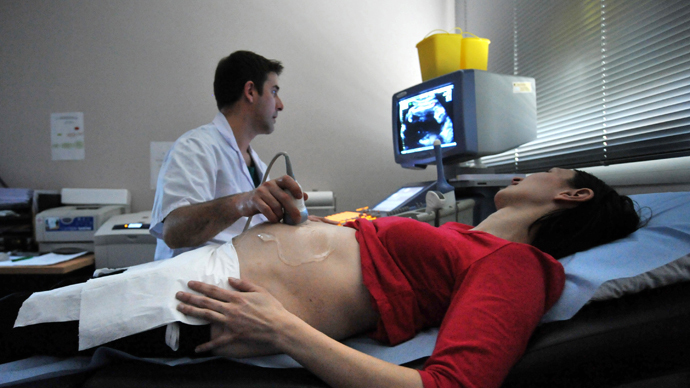 The more invasive form of ultrasound requires the vaginal insertion of a wand. The new abortion measures for North Dakota are scheduled to take effect in August, while pro-choice advocates have already vowed to wage a costly legal battle.